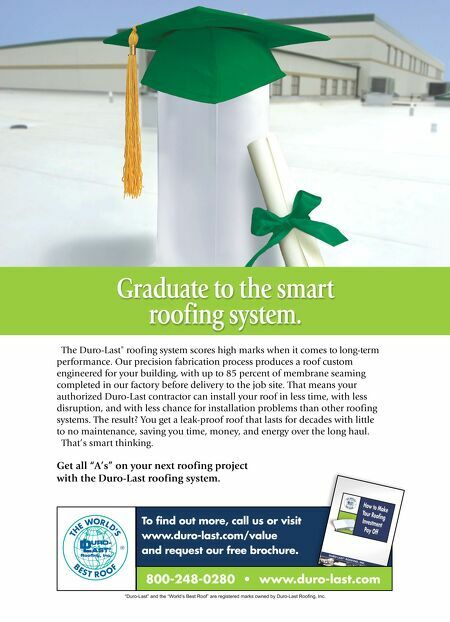 Graduate to the smart roofing system. 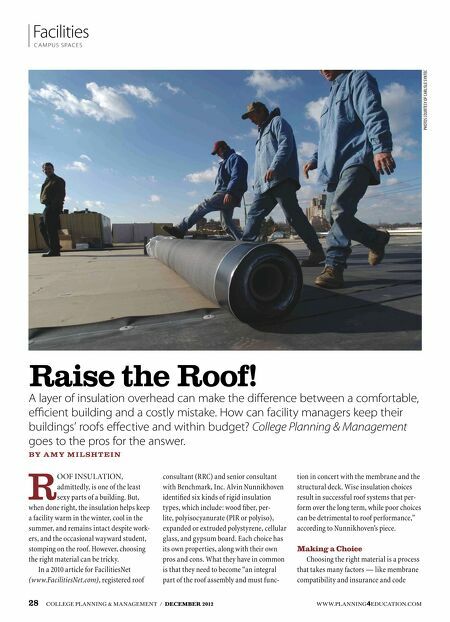 The Duro-Last® roofing system scores high marks when it comes to long-term performance. Our precision fabrication process produces a roof custom engineered for your building, with up to 85 percent of membrane seaming completed in our factory before delivery to the job site. That means your authorized Duro-Last contractor can install your roof in less time, with less disruption, and with less chance for installation problems than other roofing systems. The result? You get a leak-proof roof that lasts for decades with little to no maintenance, saving you time, money, and energy over the long haul. That's smart thinking. Get all "A's" on your next roofing project with the Duro-Last roofing system. To find out more, call us or visit www.duro-last.com/value and request our free brochure. 800-248-0280 • www.duro-last.com "Duro-Last" and the "World's Best Roof" are registered marks owned by Duro-Last Rooﬁng, Inc.